Downhill ski/snowboard lessons series are offered every other weekend for four weekends. One lesson on Saturday afternoon and one on Sunday morning. This series is the most economical and the most flexible series offered. Make-up lessons are offered the alternate weekend. Beginner and lower intermediate slopes are groomed. 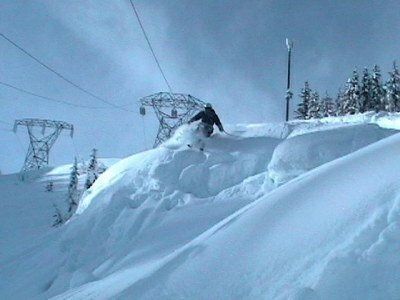 Advanced slopes offer the chance to learn to ski untracked snow. Some lessons may have video of the class skiing. Make-up lessons the alternate series, any date. Rent or bring your skis, boots and poles. Instructors will be available to advise you in equipment for your ability age and weight whether you wish to purchase or rent from an outside rental store. The Mountaineers does not provide you with equipment.